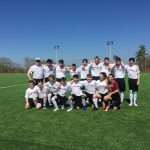 You can imagine the scene when the Lawrence Tech University Blue Devils did a soccer clinic with the children of Dimas Escazú, ending in a match for the ages — “everyone against LTU” — which pitted 67 excited Costa Rican kids against 22 college students from Michigan! We don’t remember the final score, but suffice it to say there was a lot of action on the field. 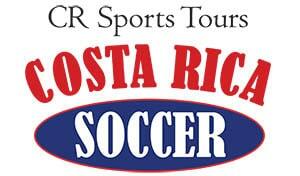 At Costa Rica Soccer Tours we specialize in bringing North American teams to Costa Rica to sharpen their game, broaden their horizons and play friendly matches against local teams at their level (usually with fewer than 89 players). 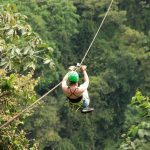 But what many of our visitors remember as the highlight of their trip is an opportunity to get involved in community service in Costa Rica. 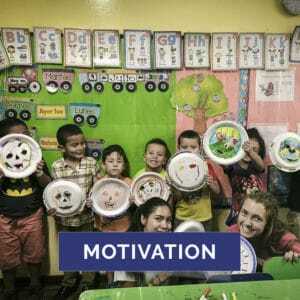 We partner with three local public schools, three children’s day centers, small soccer schools and a soup kitchen to pursue these opportunities. Every team we bring to this country, at a minimum, visits the children at one of these places to play with them, read to them and trade hugs for smiles. Most of these children come from families living below the poverty line in rough neighborhoods. One of our missions is to encourage the kids not to drop out of school, which is sadly common in their circles. The drop-in centers we visit provide food, education and moral support for kids living in desperate straits. Yet these centers are poorly funded to cover any of the maintenance needs for their facilities. 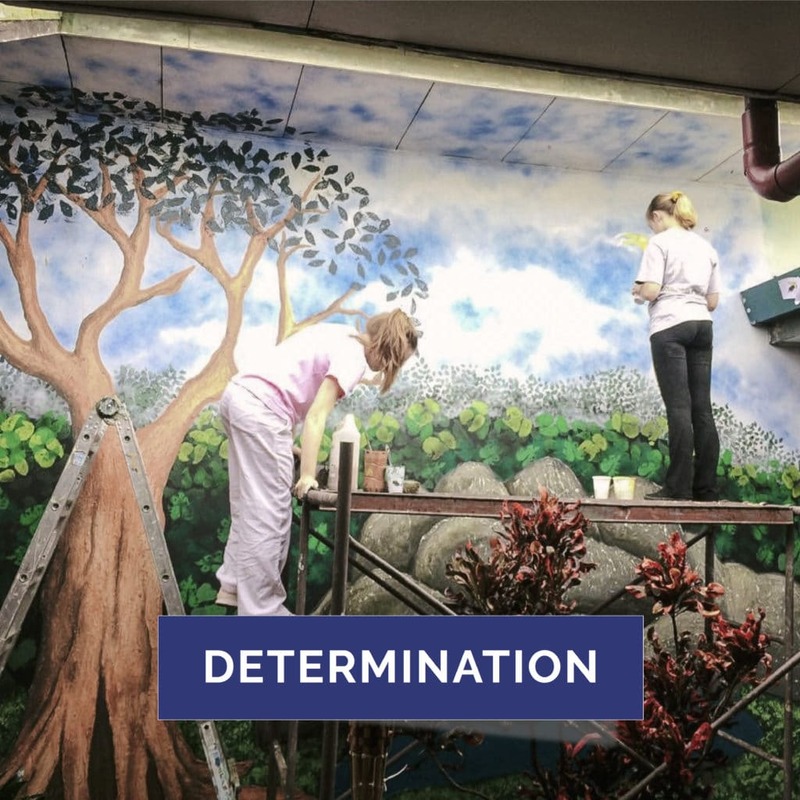 We offer our guests the opportunity to volunteer for maintenance and renovation projects like painting classrooms and furniture, giving the kids a cleaner, brighter environment. We also organize soccer clinics, where our players offer underprivileged children instruction and training in fútbol, and usually learn a thing or two from the kids as well. 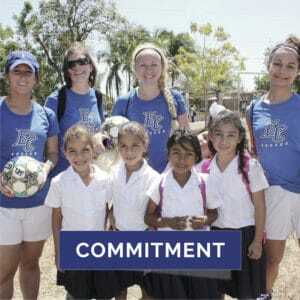 How can your players grow as a team by getting involved in community service in Costa Rica? Many of us are born in fortunate circumstances where much is given to us, and we tend to take it for granted. Some of the kids we work with have next to nothing, and so our visits with them can be like a collision of two worlds. The children are delighted to meet people from another country who care about them. But the visitors themselves are often deeply impacted by this experience — reminded to be grateful for what they have, learning a sense of responsibility toward others, developing skills in working with people who are different from them. Community service builds teamwork, creativity, leadership and professionalism. We find that by giving something away, we all end up enriched. Another important way to help is through donations. Before their trip, many teams get organized and collect sports gear and other types of donations for the kids they’ll be visiting. These donations are much needed and appreciated by the communities we support. 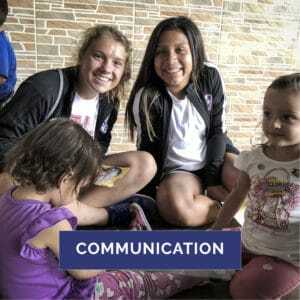 The Elizabethtown College women’s team recently visited a school and played soccer with the kids. The Jersey Knight Daggers girls’ soccer club organized a soccer clinic for low-income kids. And the LTU Blue Devils drilled Costa Rica kids on some advanced techniques before their big free-for-all match. “I think this is huge,” said assistant coach Kyle Breitmeyer. “This is probably one of the best parts of these types of trips, is getting to get out, to really get involved in the community.